Easily remove heavy imperfections while leaving behind a high gloss finish! 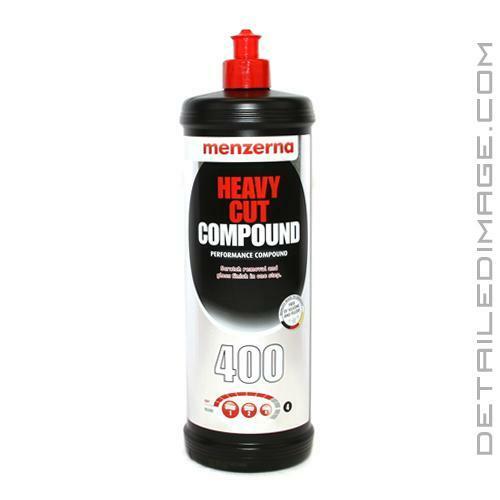 Menzerna Heavy Cut Compound 400 (Formally known as Fast Gloss Compound FG 400) is a game changing polish that is finally available to the US markets. This product has been wildly popular throughout Europe and it's now finally available for professional detailers and enthusiasts alike. You can use this product to remove medium to heavy imperfections (swirls, fine scratches, heavy oxidation, watermarks, etc.) while simultaneously leaving behind a high gloss finish! In one use you'll instantly notice how quickly and effectively you're removing imperfections while expending less energy in less time. This polish is incredibly effective and we're confident it's going to be an amazing addition to your detailing routine. On some lighter colored finishes you may not even be able to detect any haze. It's truly amazing to be compounding and possibly be done polishing in just one step! On darker finishes you may have some light haze left behind, which is to be expected. Use a finer polish and softer pad combo next to remove any haze and make the paint even more optically clear. 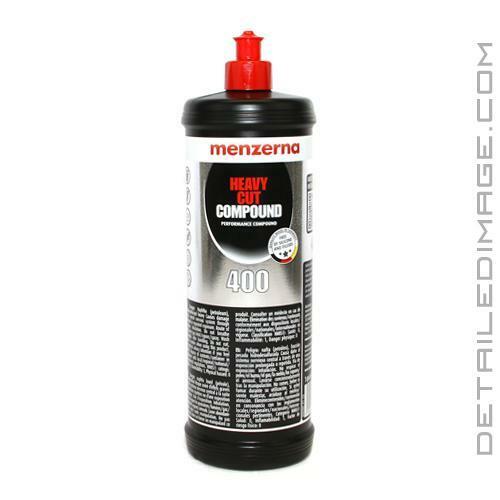 Afterward Menzerna recommends using another finer Menzerna polish like the Power Finish PF 2500, Super Finish Polish SF 4000 or Micro Polish SF 4500 to finish the paint down to perfection! Combining any one of these polishes with the Fast Gloss should make the paint look absolutely stunning. Fast Gloss is safe to use on any type of paint and it leaves behind little dusting, making it super easy to clean up. Simply apply with a cutting pad (i.e. Lake Country Orange Light Cutting Pad, Surbuf R Series MicroFingers Buffing Pads or Optimum Microfiber Cutting Pad) for best results, via a buffer. It can be applied with an orbital buffer like the Porter Cable 7424 XP or a rotary buffer. 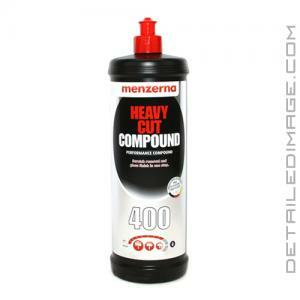 If you are looking for a heavy compounding polish that leaves behind a high gloss finish then the Menzerna Heavy Cut Compound 400 is for you! This will be my go to compound from now on as it works fast, is smooth to work, and dusts next to none! The car won't need a washing after the compounding unlike some other compounds on the market, so its a time saver as well! For anyone looking for turning their 3 step process into a 2 step process, this is a product you need to try out and fit into your arsenal of products! In my experience using Menzerna products, I've had nothing but excellent results. 400 is typically my go to cutting product as it finishes really well using a microfiber cutting pad. I've had times when it finished so well I didn't feel I needed further refinements and skipped to sealing the paint. This is definitely in my top five compounds and recommend it all day. The only con I'd say is it's a bit on the oily side but that's it in my opinion. This is my new replacement for M105. It cuts well and doesn't dust like M105. I bought this in an attempt to restore the hood on my white over black Fj Cruiser I just bought. It did removed almost all of the scratches and swirl marks. I think a color sanding or re-spray might be in store.